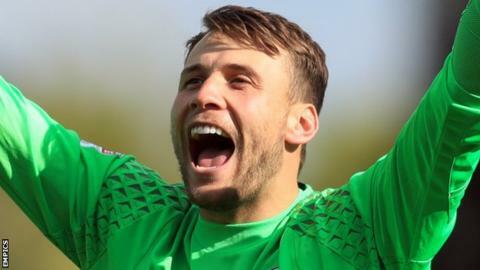 Fulham goalkeeper Marcus Bettinelli has signed a contract extension to stay with the Championship side until 2020. Bettinelli has made 69 appearances for Fulham, having come through the club's academy system. The 25-year-old suffered a hamstring injury before the start of this season, but made his return in the EFL Cup defeat by Bristol Rovers on 22 August. "I love playing for this club and I'm just thankful that I've signed a new contract," he told the club website.